Looking for a lawyer to help you through the divorce process is not a task anyone wants to take on. Because the ending of a marriage is so fraught with emotion, it is important to work with an experienced legal partner who can guide you through the process as efficiently as possible. Divorce can be a painful, difficult process, but we are here to make it easier. With more than 30 years of combined experience handling all aspects of divorce cases, the attorneys with The Law Offices of Abbott & Abbott, P.C. understand what you are going through. We are prepared to do everything in our power to help you reach the best possible outcome. From our offices in Marietta and Canton, we represent clients in divorce proceedings, child custody, property division, and related matters so that they can move on with confidence. Reputation in the community — The people we’ve represented in family law matters can attest to our advocacy, and so can our colleagues in the field: B.J. Abbott has earned an AV® Preeminent™ Peer Review Rating by Martindale-Hubbell® for his high ethical standards and professional ability. Knowledgeable staff — Because our family law practice focuses on divorce and related issues, we are able to answer questions and respond to requests for information quickly and accurately. In addition to providing personalized, professional service tailored to meet your unique needs, we offer a free consultation so that you can proceed fully informed. Negotiation or litigation — Depending on your circumstances, you might be able to avoid a hearing on the issues through traditional negotiation, collaboration, or mediation. If you and your spouse can cooperate to settle your issues, you can present an agreement to the court for approval and get an uncontested divorce. But if you have strong disagreements, you will need determined litigation services for a contested divorce. Either way, you can trust our firm to meet your needs. Distribution of property — We will work with you to develop the best possible plan for distribution of assets including personal property, bank accounts, stocks and other assets. 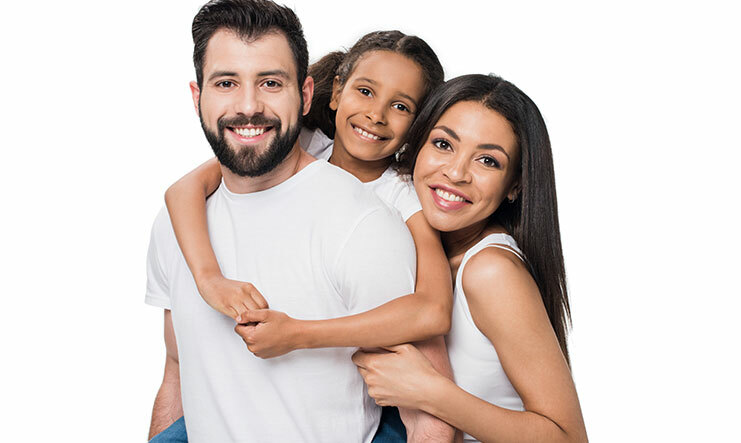 Child custody and visitation rights — We can show you the steps to take — and what to avoid — to help achieve the custody and visitation arrangements that are right for your family. We can also help you enforce existing orders from other states. Child support — We understand how courts determine child support and will work to ensure that child support allowances are fair and provide funding to meet family needs. You can rely on Abbott & Abbott for attentive service and highly professional representation, and you can count on us to work diligently to achieve the best possible results for you and your loved ones. It is important for you to feel comfortable with the attorneys who guide you through the emotional and challenging process of divorce. At The Law Offices of Abbott & Abbott, P.C., with offices in Marietta and Canton, we offer the experience and sensitivity you need when dealing with difficult issues, and we provide a free consultation so you can learn the benefits of working with our family law team. Call us at 678-586-1005 or contact us online to schedule your consultation. The Law Offices of Abbott & Abbott, P.C. is located in Marietta, GA and serves clients in and around Marietta, Smyrna, Kennesaw, Atlanta, Mableton, Powder Springs, Austell, Acworth, Cobb County and Fulton County.